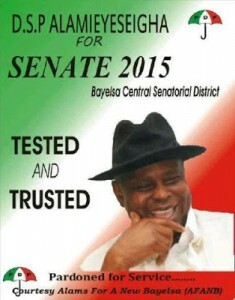 Yimiton's Blog: Alamieyeseigha To Run For Senate? Posters already out. Alamieyeseigha To Run For Senate? Posters already out. I just read in Ajetun's Blog that Chief DSP Alamieyeseigha will be contesting for Senate in 2015. 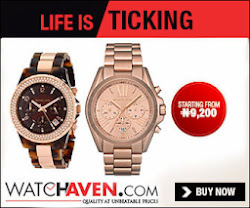 I even heard that Posters like the one above have been printed and has flooded Bayelsa state. Nigeria is nothing but a big joke....I pity my state and its people....its so sad that corruption is celebrated and pardoned in our great country.